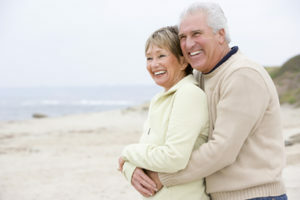 How to get home health care services on Palm Beach Island using private duty home care. Getting senior home health care services is easy and indeed a necessity if you want to secure the services of a reliable company. The truth is over the past years a lot of home health care providers have emerged and knowing how to distinguish between qualified and capable providers from the others can be a key factor in helping you secure custom made services to suit your needs. Getting quality private duty home care on Palm Beach Island is easy and in fact it is always the simple facts that really count. Carefully authenticate qualification documents- Hiring a qualified home care company on Palm Beach Island is always a crucial consideration but even though home health care individuals might just present qualification documents it is important to carefully look and analyze each to ensure that it is authentic and original. You will be surprised how far people can go to rip you off and even in home health care services this is something that can really happen on a regular basis. Verify licenses- It is also imperative to ensure that the license produced by home care providers is authentic and in line with what local authorities have issued. Remember when it comes to home health care services the biggest objective is to always secure the service of a trust worthy company and authenticating their licenses is a perfect way to start. At the end of the day only licensed home health care Palm Beach Island agencies can be entrusted to take care of your loved ones. Conduct a simple interview- The idea of interviewing candidates before hiring them can also help you understand the kind of people you are inviting at your home. While in most cases, most people will often look out for experienced and qualified providers sometimes personality is also very crucial. Conducting a simple interview can help you determine the character of a senior home health care Palm Beach Island provider expert and if they are capable of dealing with your patience in a humanly and empathetic manner. Getting home health care services Palm Beach Island is always a crucial consideration if indeed you will be able to secure reliable services. As you can see from the tips highlighted above getting private duty home care is an easy process that can be done. Prestige Nursing Services has been serving this local area since 1980.